Iron Consulting is a consulting firm providing advisory services to clients in the private and public sector. Iron Consulting was established in 2012. The company was founded by professionals coming from top public Institutions in Kosovo and international business organizations with a remarkable track-record in carrying out investment promotion, business advisory, capacity building, and technical assistance projects. Through provision of capacity building and technical assistance, Iron consultancy helps organizations in the public sector to increase efficiency, effectiveness and to continually build capabilities. committed to assist our partners and clients in finding the best path to efficiency in an ever changing business environment. We will assist you in navigating through the political and administrative puzzle to achieve your business objectives. To achieve the objectives of our clients we rely on a wide network of professionals not only in the Balkans but also in major European capitals as well as in Washington DC and NY. Having led the Kosovo Customs for a decade, Naim has been a key part in the overall development of fiscal and trade policies of Kosovo. He has long experience as a negotiator on trade issues with neighboring countries, including negotiations with impact on policies at a political level. In his position, as General Director of Customs, he has received numerous recognitions by the business community and its associations for building relationships between government and the business community. 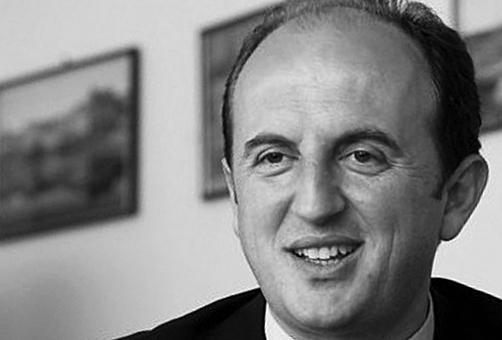 Naim has received numerous awards by civil society in Kosovo such as “best manager of the year” and the “most transparent manager of the year.” He has studied Macroeconomics at the University of Prishtina and has later obtained a Masters degree at the Sheffield University in international finance. With experience in the private sector, government and the civil society, Dardan is best suited to lead corporate affairs projects. As part of Philip Morris International, he has developed CA engagement strategies and has been involved in the implementation of action plans. As an advisor to the Prime Minister of Kosovo for European Integration, Dardan has worked in harmonizing the policies of Kosovo with those of the EU. 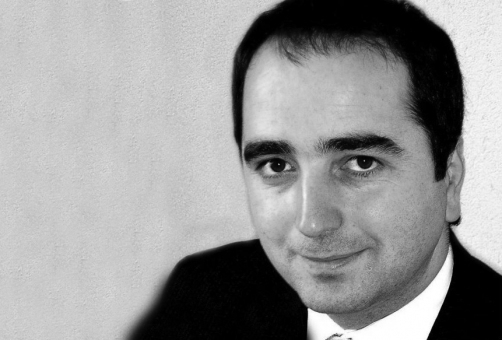 He has been involved in lobbying campaigns in Brussels and the regional countries. Prior to that, he has led civil society campaigns advocating policies with the Government of Kosovo. He is educated at the American University in Bulgaria and at the London School of Economics and has obtained various qualifications around the globe at numerous other institutions. Through consultancy we help private and public sector to improve their performance. In an ever-changing environment, understanding the political and administrative systems will enable the businesses to perform smoothly. Iron Consulting possesses understanding of the perspectives of both the business and the government. This is crucial in finding solutions that satisfy both the business objectives and the perceived public interest. Whether an international company trying to penetrate new markets or a local company trying to expand, our committed consultants will assist you in identifying opportunities and in adopting your skills and strengths to get there. Our experienced consultants will help you define the vision and corporate strategy based on business objectives, resources and capabilities. Foreseeing opportunities and risks will help you optimize resources and achieve success. We are your address to enabling you to communicate messages to the public in conventional and creative ways. Iron Consulting will support clients and partners in the whole process from formulating to delivering messages and assessing their impact. In an era of increased interdependence and constant transformation, the public sector is facing an imperative to increase efficiency and effectiveness. The quality of staffing and the inability of the public institutions to compete with the private sector for human capital make it imperative for the institutions seek external advisory support with consultancies within the private sector. After years of engaging consultancies to support the government, both the receiving governments and the donors have come to realize that engaging local consultancies is a must, to ensure success. With top level expertise in various fields, Iron Consulting is the address for technical assistance services in the fields of: Institutional Development, Private Sector Development, FDI promotion, Export promotion, Strategy drafting and implementation, Organizational environmental scans and benchmarking surveys, Regulatory review and analysis. With a wide network and superb knowledge of the labour market in Kosovo, we provide advice and support in staffing. Our service also includes advice on HR processes. We organize training programs tailored to the specific needs of the clients. The following training areas are covered: Financial Management Skills, PR & Marketing Skills, Management Soft Skills, Strategic Skills, Business Communication & Presentation Skills. Iron Consulting stands ready to discuss cooperation opportunities. Please feel free to write or call us if you have any questions.